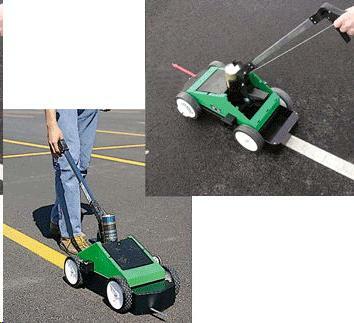 Quickly and easily paint straight lines on the ground. Uses striping spray paint cans, to be inserted upside down. * Please call us with any questions you may hav about our striper parking lot rentals in Wayzata MN and the Western suburbs of Minneapolis.